This is a square CTC Tires porcelain sign. This particular CTC Tires sign is very colorful. 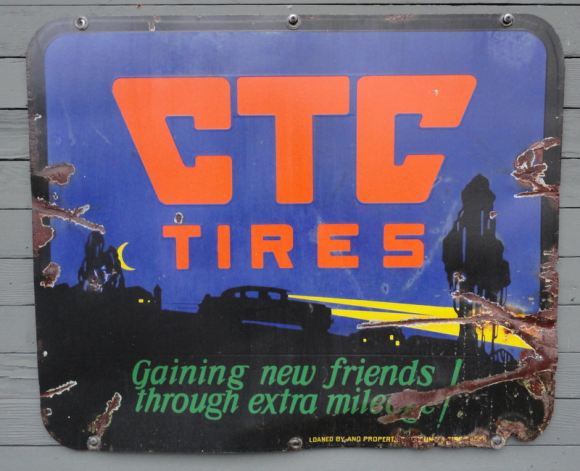 It reads, “CTC Tires, Gaining new friends through extra mileage!” and shows a car driving at night through the country.